Red Riding Hood | What YA Reading? It soon becomes clear that Valerie is the only one who can hear the voice of the creature. The Wolf says she must surrender herself before the blood moon wanes… or everyone she loves will die. 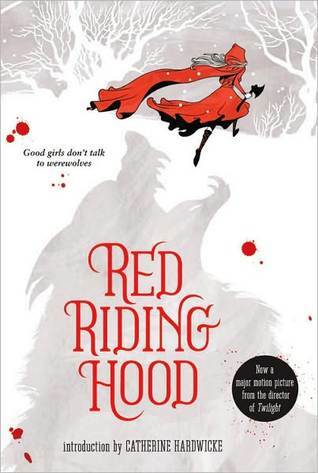 I picked up Red Riding Hood hoping for a gothic twist on a classic fairytale, while keeping the seeming childhood innocence of the original, with a hint of romance. I was hoping for whimsical. Dark. Captivating. I was terribly, terribly let down. I’ll address my biggest issue with Red Riding Hood first: there was no ending. I read the whole flippin’ book only to find out–nothing! Blakley-Cartwright doesn’t tell you who the wolf is in Red Riding Hood! She asks you to go online to read the last chapter at http://www.redridinghoodbook.com/. Does anyone else see anything wrong with that? Next, the love triangle. There’s Henry, the noble, loving blacksmith who defends Valerie in front of the whole town, and there’s Peter, who has no likeable qualities whatsover except for, oh yeah, he is brooding! But, as the description on the back of the book says, Valerie will choose Peter over Henry because they were childhood friends. However, I did enjoy Blakley-Cartwright’s writing skills. She managed write in the gothic way that really captured the essence of the fairytale. Her descriptions were probably my favourite part of Red Riding Hood. The world building was better than average, realistic, and believable. Blakeley-Cartwright also well depicted the paranoia of Valerie’s town. When one member of a village is evil, and everyone in the village knows it, things can’t go well. What with the calling in of Father Solomon, who is the professional werewolf hunter, the accusations of witchcraft and the idiotic actions of the townspeople in the name of bravery, this paranoia was well portrayed. I’ve read mixed reviews about Father Solomon’s character, and many believe him to be stereotypical and clichéd. But this is the retelling of a fairytale. Cliché is kind of the point! Finally, Red Riding Hood merits 2.6/5 stars. For fans of silly, tepid, unbelievable romance and fantastic world building. 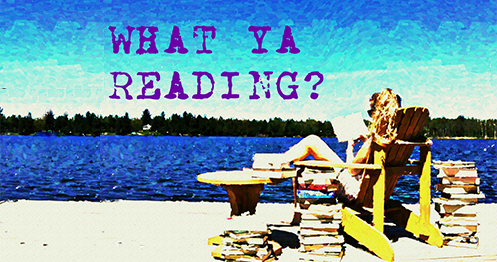 Pingback: Review of Snow White and the Huntsman by Lily Blake | What YA Reading?